I am still having major camera issues (hint, hint Joseph. That would make a great birthday present! 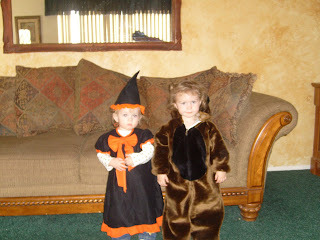 ), so I had to have my sister take pictures of Halloween. Here are some that she sent me, but I know that there are more, so I will try to post them as I get them. 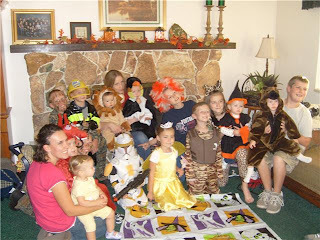 Here are most of the cousins in their costumes. Peyton is a clone tropper (from Star Wars) and Lainey is a horse. Yea!! Pictures! Those costumes are great. Thanks for talking to Tayson on the phone the other day =).